The 2018 Honda Pilot and 2018 Honda Odyssey are two of the brand’s most popular family vehicles, so which one is right for you? One is a full-size SUV with towing and all-terrain prowess, and the other is a spacious minivan with tons of comfort features. Compare the Honda Pilot vs. Odyssey below to see which is the best fit for your family! Engine: Under the hood, you’ll find a 3.5L V6 that produces 280 hp and 262 lb-ft of torque. 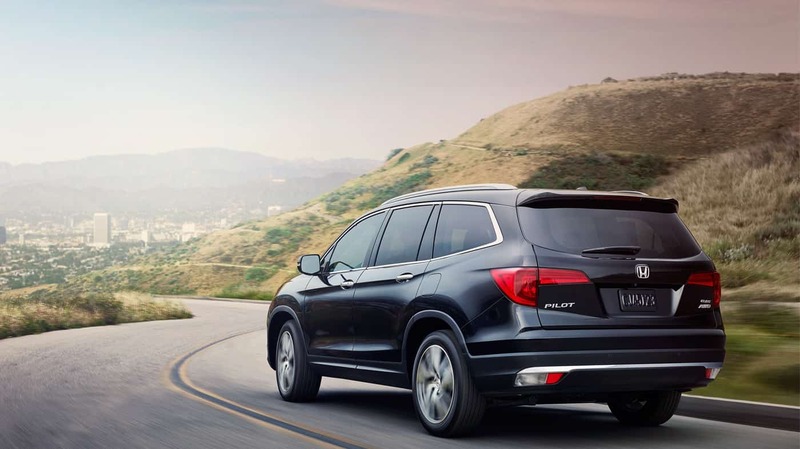 MPG Ratings: Equipped with its standard engine and transmission, the Honda Pilot earns 19 mpg city/27 mpg highway**. It’s less efficient than the Odyssey, but more efficient than the Toyota Highlander. Cargo Space: With the rear seats folded, the Pilot reveals up to 83.9 cubic feet of cargo room. Towing: With the optional tow equipment, the Pilot tows more than the Odyssey—up to 3,500 pounds! Standard Features: The Honda Pilot offers many of the features found on the Odyssey, such as a rearview camera and 18-inch wheels. The Pilot, however, is designed to conquer any surface; in addition to AWD, it offers Intelligent Traction Management with up to three modes: Snow, Sand, and Mud. Engine: The new Odyssey is equipped with the same engine as the Pilot. MPG Ratings: With its base powertrain, the Odyssey earns 19 mpg city/28 mpg highway^, making it slightly better on gas than the Pilot. Cargo Space: As a minivan, the Odyssey is more spacious than the Pilot, offering up to 138.5 cubic feet of cargo space. Towing: Properly equipped, the Odyssey can tow up to 3,000 pounds. Standard Features: The Honda Odyssey prioritizes comfort, so you’ll get dual-zone automatic climate control, a power driver’s seat, and sliding doors—none of which are standard on the Pilot. For greater convenience, the Odyssey can also be had with HondaVAC and CabinTalk. Test Drive One or Both at Big Island Honda! Are you searching for a vehicle with the Honda Odyssey’s comfort and space? Or, are you in need of a rough-and-ready SUV like the Pilot? 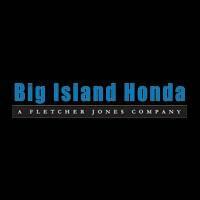 Schedule a test drive at Big Island Honda, located in Hilo and Kailua-Kona. No matter which family vehicle you select, our team will be standing by to help you apply for financing or lease with us! ^19 city/28 highway/22 combined mpg rating for LX, EX, and EX-L models with 9-speed automatic transmission. 19 city/28 highway/22 combined mpg rating for Touring and Elite models with 10-speed automatic transmission. Based on 2018 EPA mileage ratings. Use for comparison purposes only. Your mileage will vary depending on how you drive and maintain your vehicle, driving conditions and other factors.